Our Mechanical continuing education courses are approved by the Mechanical Bureau of the New Mexico Construction Industries Division. 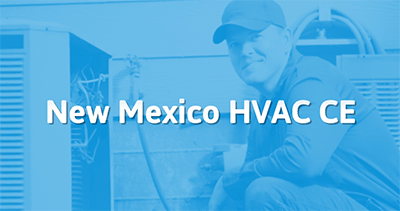 Take the continuing education to renew your NM HVAC license today. All of our courses can be completed At Your Pace Online to help you meet the state's requirements to maintain your license. Once you finish your class you will have an official certificate of completion to save for your records. Mechanical Journeymen in New Mexico must complete 16 hours of CE. 8 of the 16 hours must be on Code. The remaining 8 hours can be on industry-related topics. This course is approved with the New Mexico Regulation and Licensing Department to meet your industry related continuing education requirement! This is official notification regarding the Continuing Education Course(s) and Instructor(s) listed below that have been approved for Mechanical/Plumbing continuing education credit in the state of New Mexico. 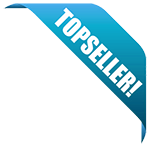 The course and Instructor will automatically cease to be approved on the expiration date. An application for course and Instructor re-approval must be received by the division at least four (4) months prior to the expiration date in order to avoid a lapse in approval. Please submit a to the Mechanical Bureau within 30 days after each seminar a Division approved elctronic list with the sponsor information, course title and number, and name, address & journeyman certificate number of the participants that hold a journeyman mechanical/plumbing certificate of competence in NM.